Hyperepics.com is a site showcasing a growing number of three-page comics, more or less of the “Amazing Stories” mold. In this episode we read many of them and talk about what we liked, and what we didn’t. In the most recent Deconstructing Comics, Mulele told Koom about the box of his wares that didn’t make it to TCAF. In this episode, Mulele gives us an update on his box and a look back at the overall TCAF experience. 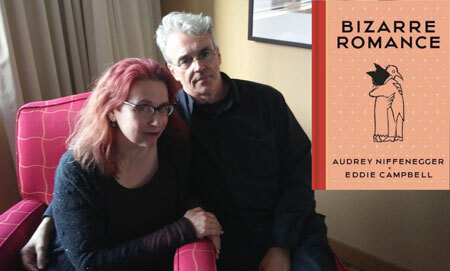 In town for the Toronto Comic Arts Festival, comics power couple Eddie Campbell and Audrey Niffenegger talk to Koom in this episode about their new collaboration, called Bizarre Romance. We also get some tidbits about Audrey’s work on the sequel to her novel The Time Traveler’s Wife, and Eddie talks about coloring From Hell and his recent book The Goat-Getters. 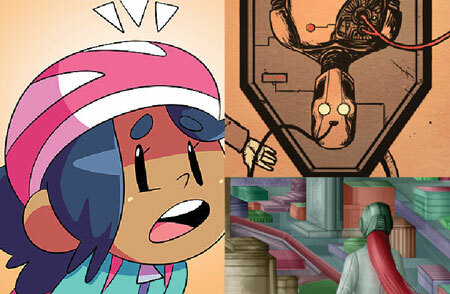 More from TCAF this Thursday! Comic News Insider Episode 853 – TCAF: Fantagraphics Special Pt 2 w/ Ho Che Anderson/Tommi Parrish! Comic News Insider: Episode 853 is now available for free download! Click on the link or get it through iTunes! Sponsored by Dynamic Forces. Jimmy went to the Toronto Comic Arts Festival (TCAF) over the weeekend and got a ton of great interviews! In this episode, he talked to Ho Che Anderson and Tommi Parrish. Ho talks about his new sci-fi/action adventure book Godhead. And Jimmy brings up Ho’s older Milestone Comics work Wise Son and they even go off on Legion of Superheroes tangent! Tommi talks their new book The Lie and How We Told It as well as some of their artistic influences over the years. Leave your iTunes comments! 5 stars and nothing but love! Also, get a hold of us! Comic News Insider Episode 852 – TCAF: First Second Special Pt 2 w/ Hope Larson/Charise Mericle Harper! Comic News Insider: Episode 852 is now available for free download! Click on the link or get it through iTunes! Sponsored by Dynamic Forces. Jimmy went to the Toronto Comic Arts Festival (TCAF) over the weeekend and got a ton of great interviews! In this episode, he talked to Hope Larson and Charise Mericle Harper. Hope chats about her new book All Summer Long as well as her run on Goldie Vance and Batgirl. Charise talks about crafts and her new book Crafty Cat and the Great Butterfly Battle. Leave your iTunes comments! 5 stars and nothing but love! Also, get a hold of us! Comic News Insider Episode 850 – TCAF: Isola Special w/ Brenden Fletcher/Karl Kerschl! Comic News Insider: Episode 850 is now available for free download! Click on the link or get it through iTunes! Sponsored by Dynamic Forces. Jimmy went to the Toronto Comic Arts Festival (TCAF) over the weeekend and got a ton of great interviews! In this episode, he talked with friends Brenden Fletcher and Karl Kerschl. Brenden goes into detail about how he and Karl came up with the idea for their new image book Isola. Karl was on a time crunch but graciously chatted for a few about his amazing art in the book and any influences. Leave your iTunes comments! 5 stars and nothing but love! Also, get a hold of us! Comic News Insider Episode 848 – TCAF: First Second Special Pt 1 w/ Vera Brosgol/Jen Wang! Comic News Insider: Episode 848 is now available for free download! Click on the link or get it through iTunes! Sponsored by Dynamic Forces. 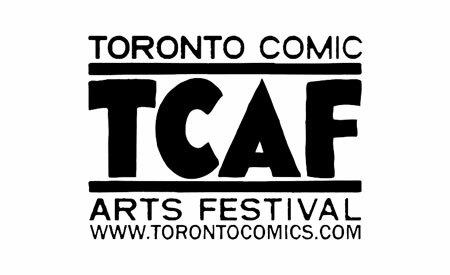 Jimmy went to the Toronto Comic Arts Festival (TCAF) over the weeekend and got a ton of great interviews! In this episode, he talked to Vera Brosgol and Jen Wang. Vera talks about her current semi-autobiographical book Be Prepared and they even go off on a tangent about cooking. Jen talks about The Prince and the Dressmaker and Jimmy wonders if she could have a second career as a fashion designer. Leave your iTunes comments! 5 stars and nothing but love! Also, get a hold of us! 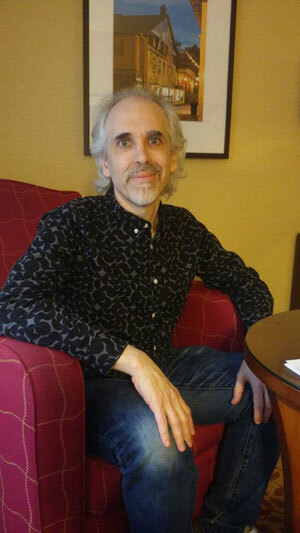 Robert Sikoryak is known for adopting the styles of various famous comics and mashing them up with classic literature, Donald Trump quotes, and even the iTunes user agreement. 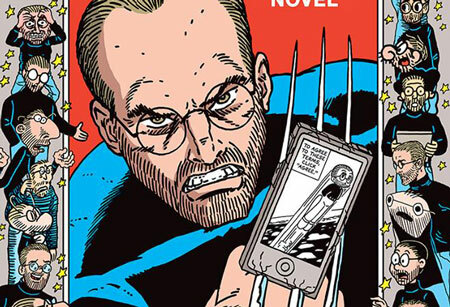 This week he talks with Koom how he chooses the specific pairings of comics titles and other content, why he didn’t want to do his book on Trump, what Kafka’s Metamorphosis and Schulz’s Peanuts have in common, getting inside the head of the creator whose work he’s parodying, and more. 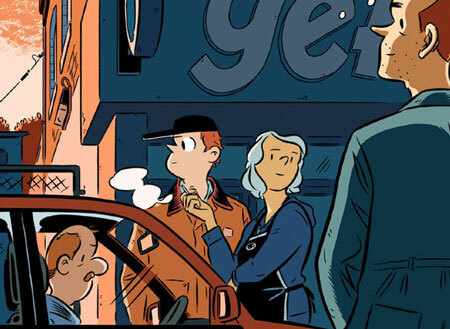 Comic News Insider Episode 771 – TCAF: Spotlight on Penelope Bagieu/Sandrine Revel! Comic News Insider: Episode 771 is now available for free download! Click on the link or get it through iTunes! Sponsored by Dynamic Forces. Jimmy was at TCAF (Toronto Comic Arts Festival) over the weekend and got a ton of great interviews and moderated 2 panels! He moderated the Spotlight panel with Penelope Bagieu (California Dreamin’: Cass Elliot Before The Mamas & the Papas) and Sandrine Revel (Glenn Gould: A Life Off Tempo). They talk about their books, differences between French and North American publishers/audiences, favorite comics, inspirations, ever changing art styles and more! A massive thank you to Charlotte Groult (Book and Debates Officer – Consulate General of France in Toronto) for serving as Sandrine’s translator. Leave your iTunes comments! 5 stars and nothing but love! Also, get a hold of us!